Anyway, as to these crazy broads, if they hate frats so much, why do they want to join them? 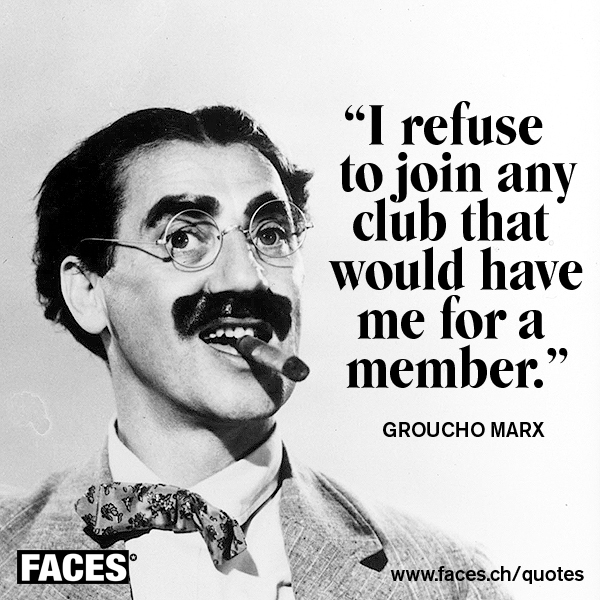 Maybe they're like Groucho, and only want to join clubs that wouldn't have them. 1) I have been in some frat houses in my time. Ick. Silly, stinky boys who don't take care of things and get drunk a lot. 2) I have two grandsons in Boy Scouts. Since we are thru a local church we are allowed to separate the boys from the girls. So, the girls have their own dens/patrols from boys but can do certain activities together. This has been going on here since September, 2018 here. At this point, neither of the grandsons have had any interaction with the girls patrols. It is my understanding that they will not be doing any camping together, even if the girls are heavily chaperoned and in a different campsite. Perhaps the best way to do this is to have two separate but parallel troops. The kindergarten girls have culottes and sparkly Scout leggings for part of their uniform - yes, I am rolling my eyes. This is entirely the fault of the Girl Scouts. The Girls Scouts was boring when I was a kid. It was boring when my daughter was a kid. And it is still boring. And, now, it is doing its best to create a particular type of girl - social justice, environmentalism, feminist, urban. I bailed out of the Girl Scouts for my daughter (I was the Scout leader for the troop) when I found Planned Parenthood pamphlets at the Girl Scout Office Store. 3) When I was in high school, I was an Explorer Scout. Yes, our Boy Scout Troop was co-ed and we did everything together, except when we slept in tents the boys used a different campsite from the girls. Always heavily chaperoned, including my own father once. It was a blast. Much better than the Girl Scouts. Charity and community service, sponsored by our Catholic Church and we met in the Catholic school gym. Were the boys happy that the girls joined, I don't know. But I never heard a complaint and we didn't have an exodus of boys. There were more boys than girls and most kids stayed in thru high school. And I do believe that there should be some activities for boys and some activities for girls. Boys need to be with other guys to do and act like, well, boys. Girls need the same thing. I am widowed. My daughter (mother of the grandsons) is widowed. There are NO men around so we need Scouts and sports to get the boys around other boys and under the positive influence of men. More girl time is not what we need. Trying to join the guys fraternity is just angry feminism trying to destroy something they resent - they do not truly wish to join and be productive, they just want the satisfaction of destroying something that makes men happy. The three feminasties in this article are biologically female therefore WOMEN. I am quite sure given our past debates you can get on board with that truth at least. There are no "male feminists" mentioned in that article as signing onto this lawsuit. Moreover, "male feminist" is an oxymoron. "Traitor" or "delusional opportunist" would be more appropriate. Well, I will quote as you once said "....modern women can't reconcile their heads, hearts, and vaginas." (02-13-2019, 12:46 AM)VoxClamantis Wrote: Anyway, as to these crazy broads, if they hate frats so much, why do they want to join them? (02-13-2019, 02:39 AM)MaryTN Wrote: Trying to join the guys fraternity is just angry feminism trying to destroy something they resent - they do not truly wish to join and be productive, they just want the satisfaction of destroying something that makes men happy. (02-13-2019, 02:39 AM)MaryTN Wrote: 1) I have been in some frat houses in my time. Ick. Silly, stinky boys who don't take care of things and get drunk a lot. I am not a fan by any means of fraternities for the reasons you state in addition to the often exorbitant membership fees they charge, and the abuse prospective members often times endure to join (i.e. hazing). Still though, these organizations have a constitutionally protected right to free association. (02-13-2019, 02:39 AM)MaryTN Wrote: This is entirely the fault of the Girl Scouts. The Girls Scouts was boring when I was a kid. It was boring when my daughter was a kid. And it is still boring. And, now, it is doing its best to create a particular type of girl - social justice, environmentalism, feminist, urban. I bailed out of the Girl Scouts for my daughter (I was the Scout leader for the troop) when I found Planned Parenthood pamphlets at the Girl Scout Office Store. I think the Girl Scouts should be re-branded as "Feminist Scouts." It would be more accurate. (02-13-2019, 08:54 PM)divinesilence80 Wrote: The three feminasties in this article are biologically female therefore WOMEN. I am quite sure given our past debates you can get on board with that truth at least. There are no "male feminists" mentioned in that article as signing onto this lawsuit. Moreover, "male feminist" is an oxymoron. "Traitor" or "delusional opportunist" would be more appropriate. Yes, they're women, but they didn't do it qua women, i.e., they weren't compelled to go on this way because they're women, which is why I put "women" in quotes. They did it as feminists and because of their feminism. No male feminists were mentioned in that article, but if, over the years, men hadn't caved to feminist demands, they wouldn't be as powerful as they are today. In Roe v. Wade, for ex., 7 male Justices voted to kill babies. Only two of the 9 male Justices voted against it. As to the term "male feminist": feminism is an ideology, and anyone can hold an ideology, no matter how toxic it is. Both male and female feminists are traitors in their own ways, if you ask me.